Australia's large area cleaning scrub brush ideal for cleaning of bathtubs, sinks, spas and shower recesses. It effectively removes shampoo and soap stain drops and streaks. 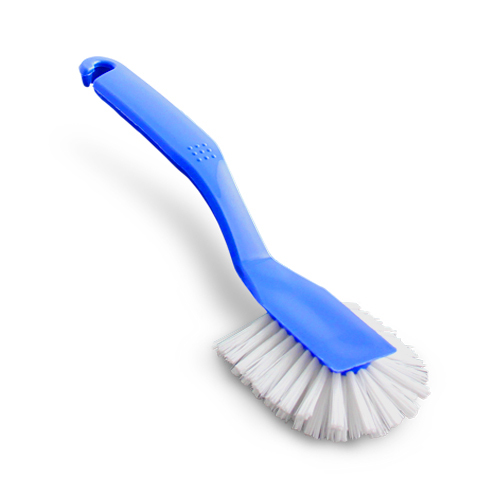 It has curved trim to Polypropylene bristles and soft grip handle. 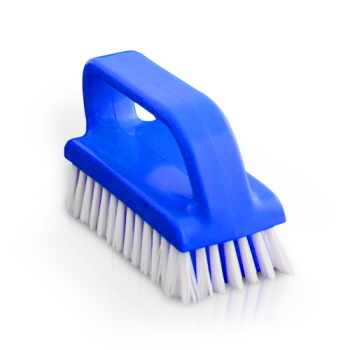 It is also suitable for cleaning outdoor furniture. 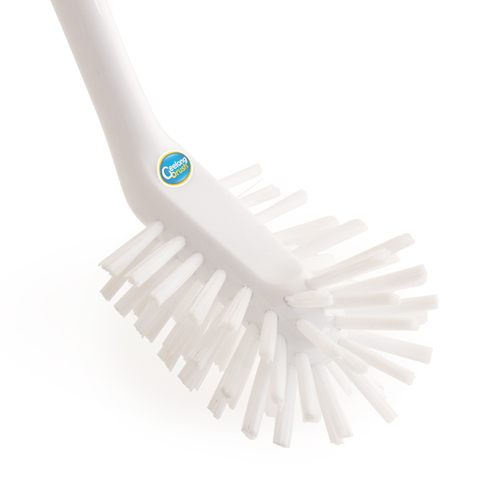 Brush specially designed for cleaning grout lines both indoor and outdoor. 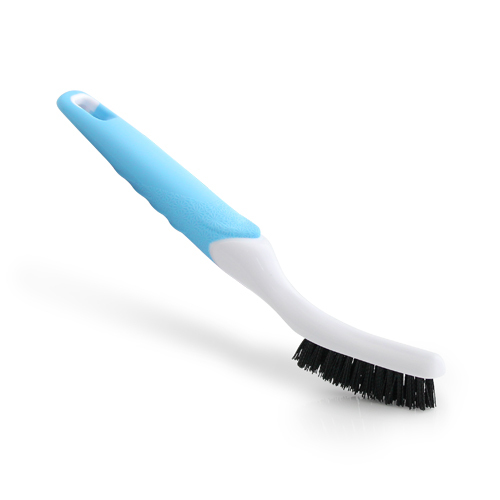 Short, stiff PP bristles for harsh scrubbing and maximum cleaning effect. Great for tradies tool clean up. 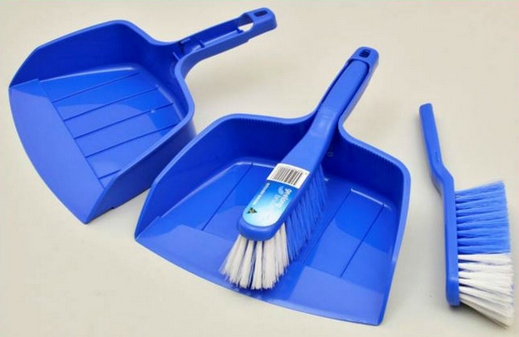 Specially designed brush for the cleaning of coffee cups and mugs as well as general dishwashing duties. 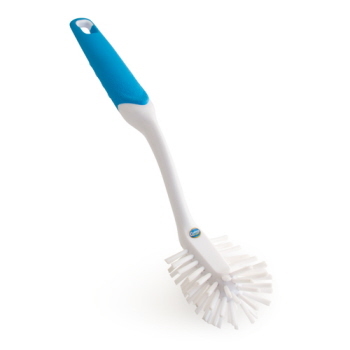 It can be used to clean vases and other larger glassware items too. 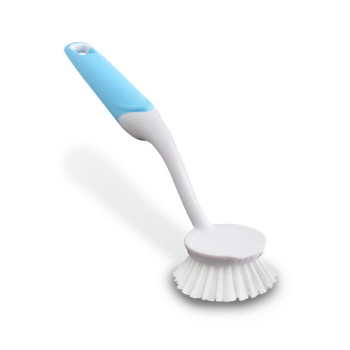 It has nylon bristles so it is dishwasher safe. 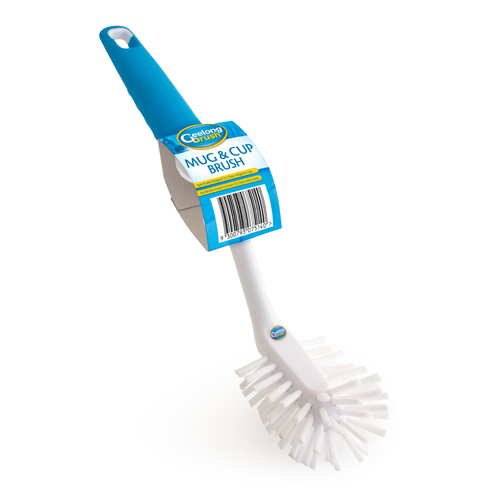 The rolled over rounded off bristle fibre ends allow the user to clean coffee and tea residue and stains from the lower 45 degree corners of mugs and cups. It has long handle so when using it you do not need to submerged hand in hot washing water. 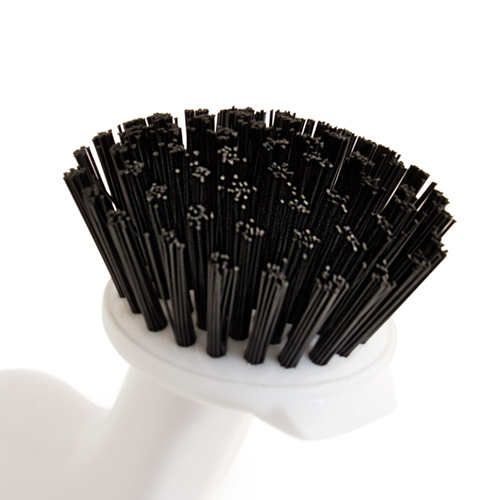 Stiff nylon bristles for cleaning of grill plates, baking trays, gravy pans, baking trays and BBQs. 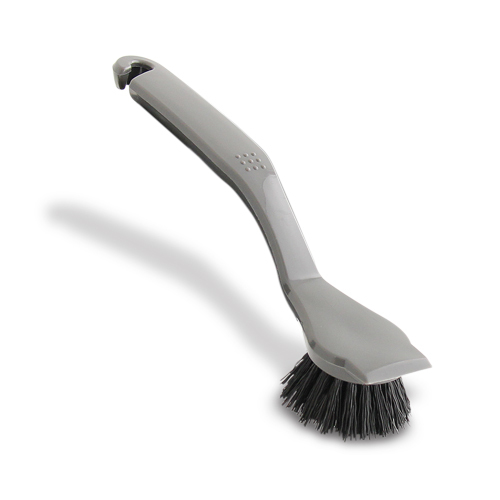 The short and thick yet ergonomic handle allows the user to gain a firm grip to then apply maximum cleaning pressure to dirty surface areas. Half radial bristle pattern is great for cleaning glassware, cups and all general dishwashing duties. A flared pattern which is great for reaching into the corners of glasses, cups and mugs. 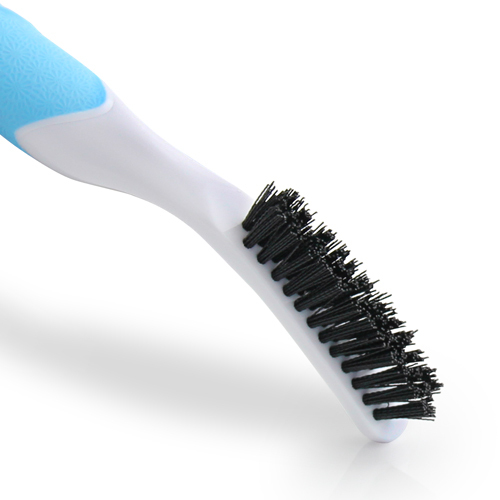 It has Polypropylene bristles for zero liquid absorption. 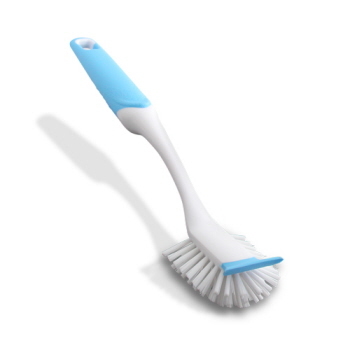 Made with 100% nylon bristles for longest life and dishwasher safe. 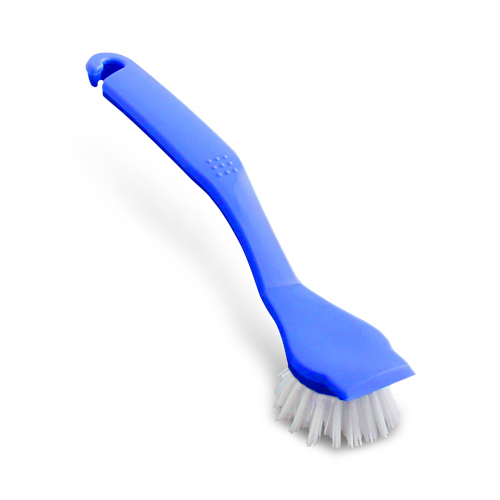 Ergonomic soft grip handle has extra length to keep hands free of water & suds. 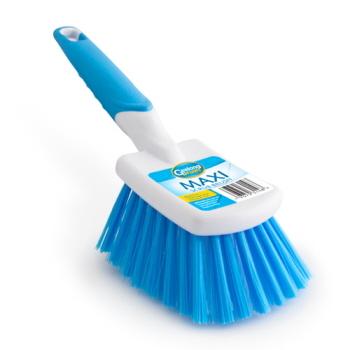 A high quality soft nylon filled radial dish brush with rubber scraper blade for gentle grime removal from all delicate surfaces. It won't scratch non stick cookware and delicate surfaces. It has soft grip handle. Extra stiff Polypropylene bristles with built in scraper blade for maximum cleaning of heavy grills, hotplates, and BBQs. It is NOT suitable for non-stick or delicate cookware. Pot dish brush has stiff PolyPropylene bristles for cleaning heavy, cooked on grime and stains. Ideal for fireplaces or trade use. 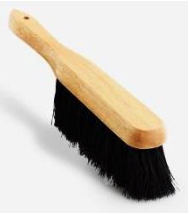 Heat resistant coco fibre with varnished handle.